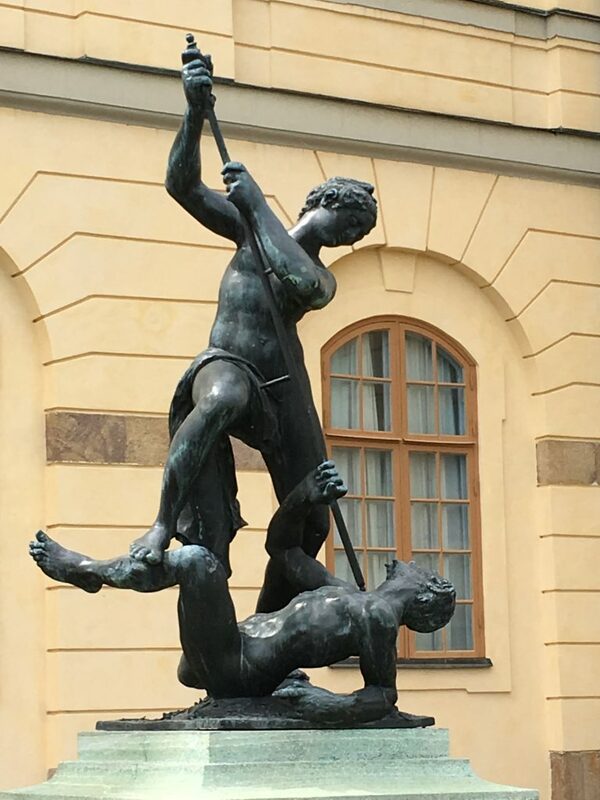 stockholm - as the tourists do! 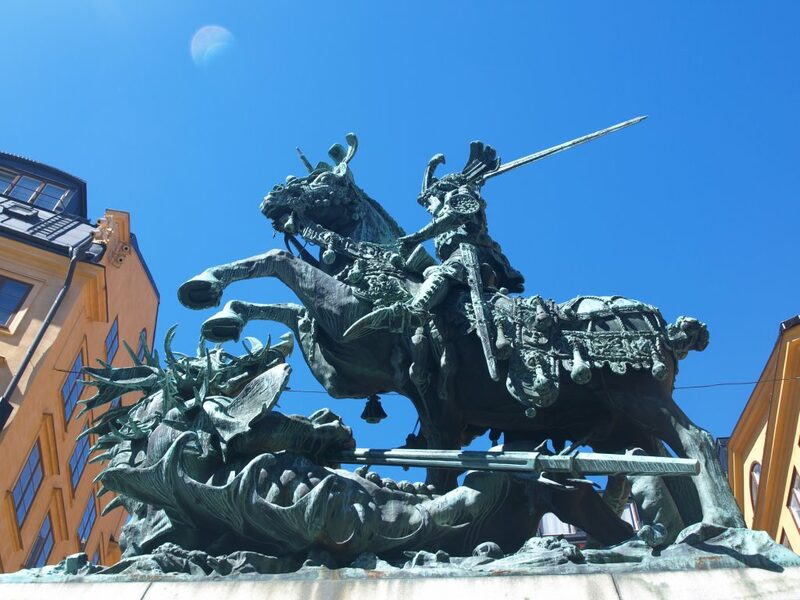 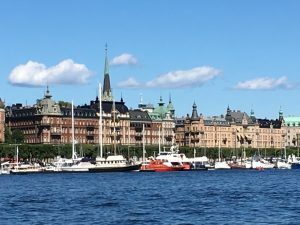 stockholm – as the tourists do! 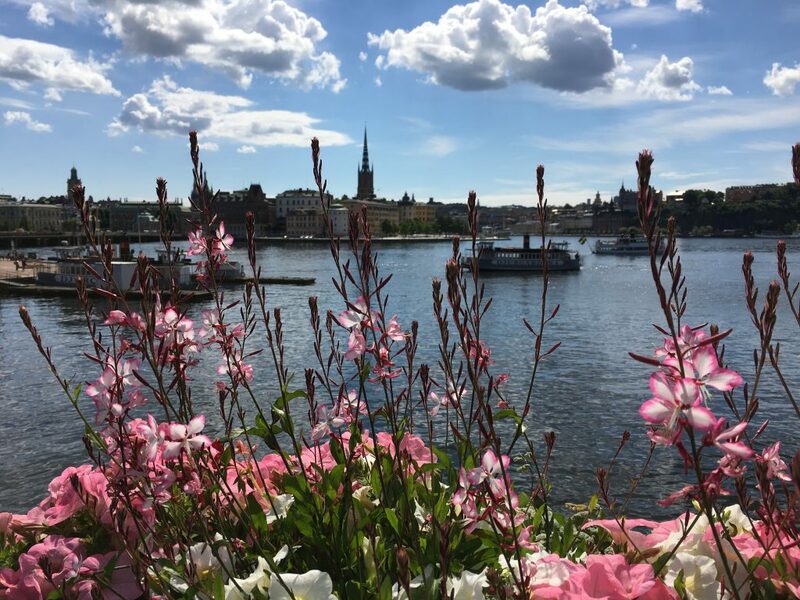 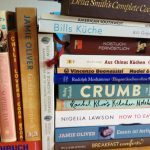 Summer & Stockholm – the best combination to dream of! 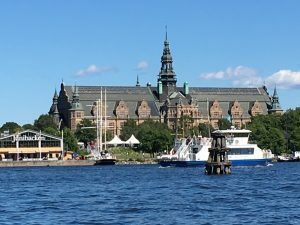 Imagine classic Europen city w/ beautiful houses from the last century – all neat & restored -, a city on islands w/ water all around & hundreds of ships moored at the waterside… We went to Stockholm as tourists & did all things tourists like to do – under a blue sky & a warming sun. 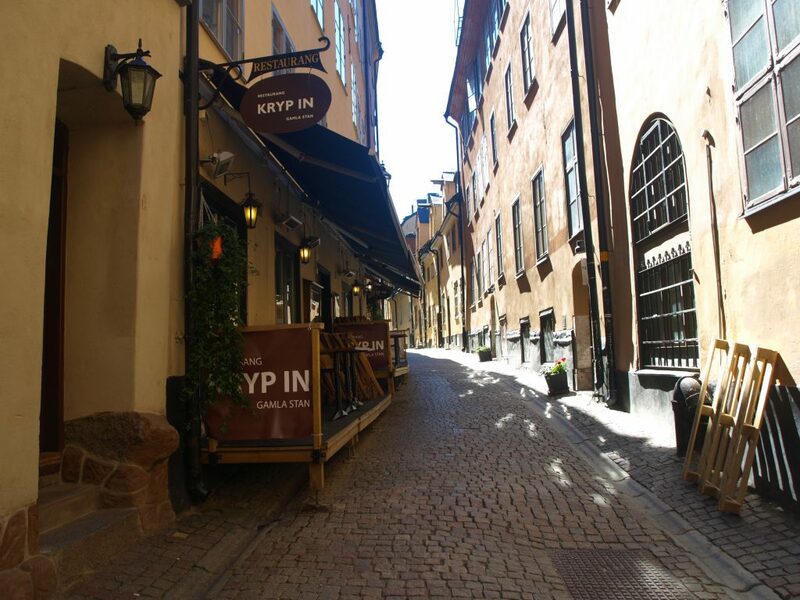 we booked a hotel in city centre… (in walking distance from the train station). 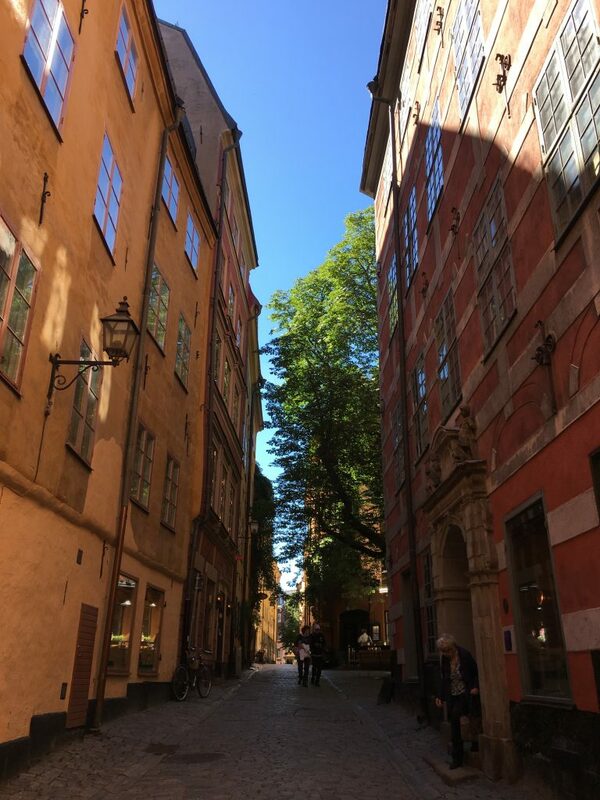 So all we needed – beside our travel companion – were our mobiles w/ all the data & the Stockholm Pass we picked up at the airport. 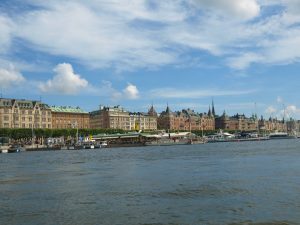 Therefore we did sightseeing Stockholm to the full! 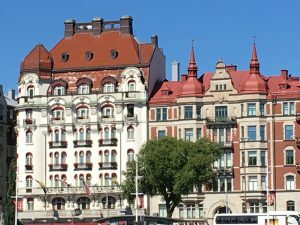 Let’s start w/ the palaces in & around Stockholm! 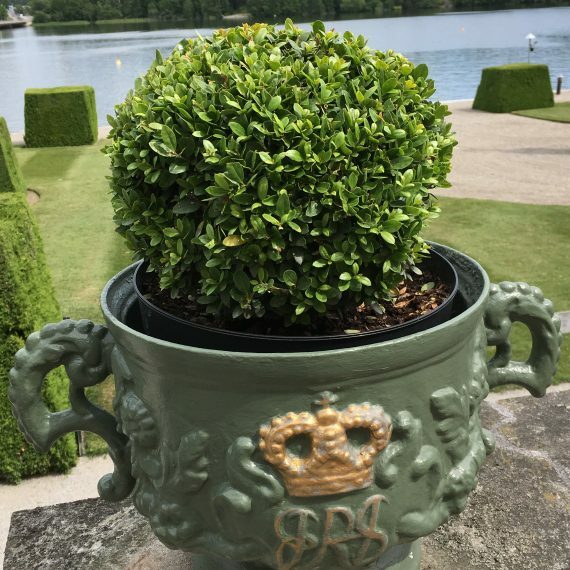 Sweden is a living monarchy & all the royal insignia is around – even on garden pottery. 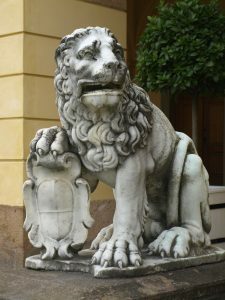 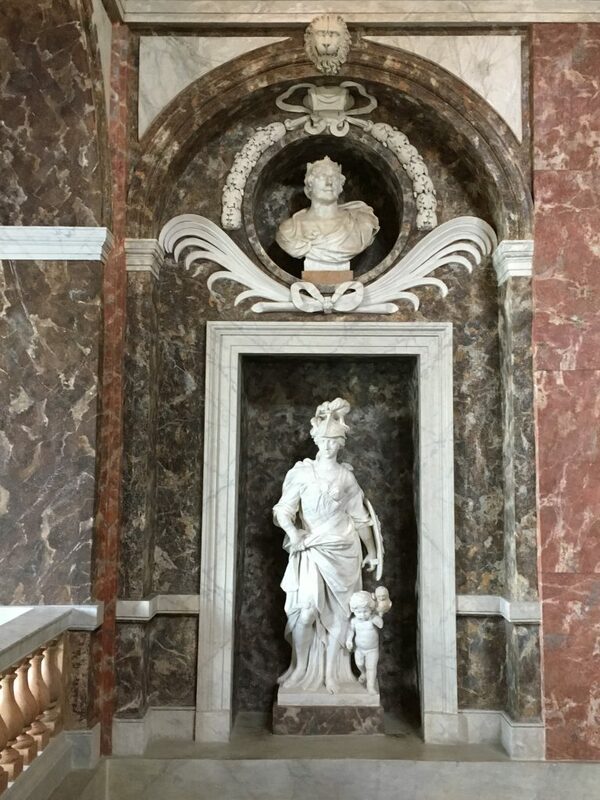 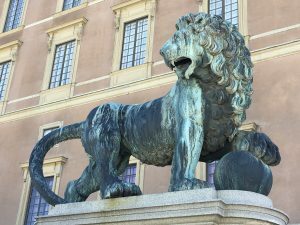 The royal palace in Stockholm is a honey pot for tourists. 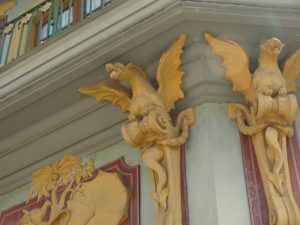 It’s not only a remarkable building (w/ about 600 rooms! 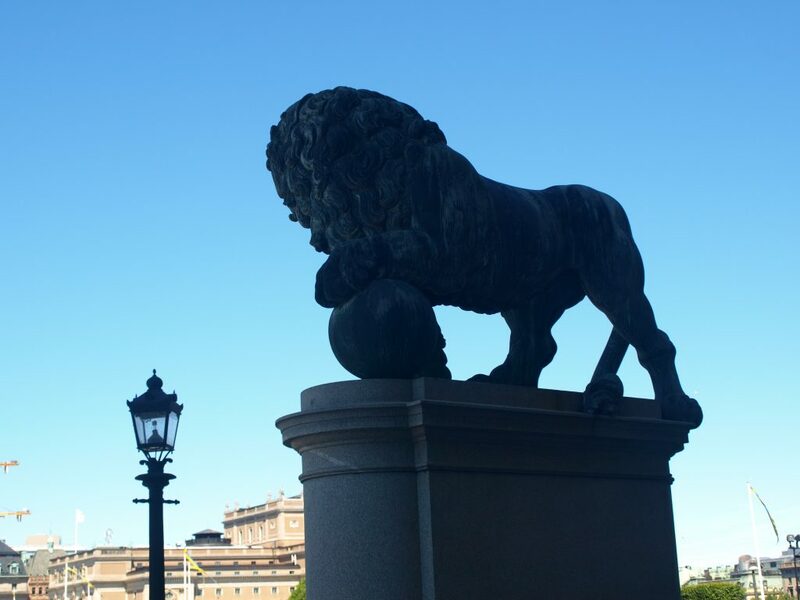 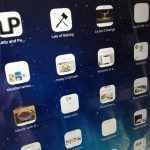 ), but is used today for any (royal or non-royal) state visits & royal state receptions & royal state dinners as well as for royal administration. 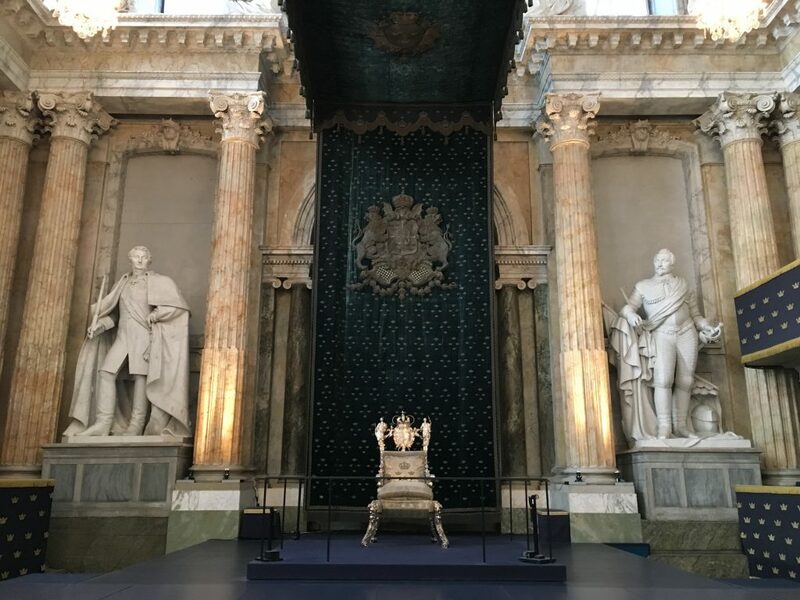 There is also a museum in the basement vault (the Tre Kronor Museum) displaying the development of the palace (from Tre Kronor castle to today’s palace) including the „big fire“ about 300 years ago which destroyed the old palace & laid the foundation for today’s new palace. 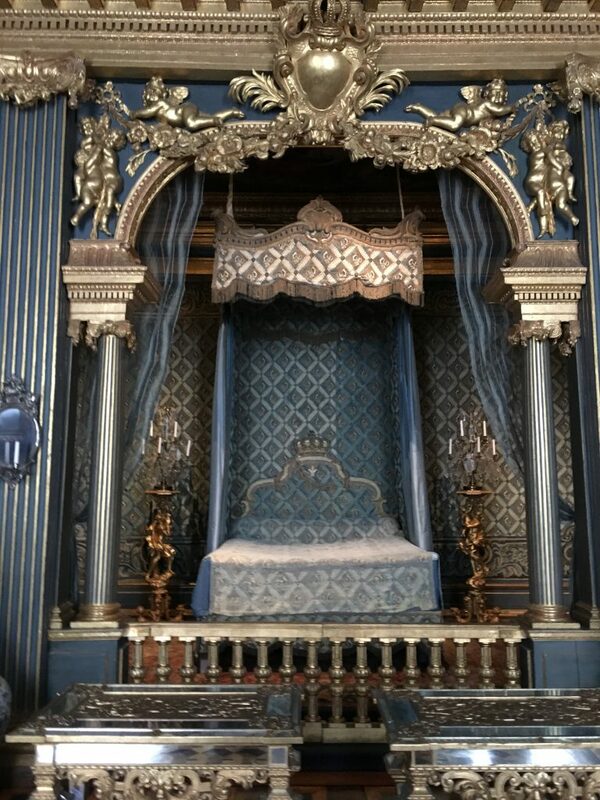 The silver throne was one of the few antiques to be saved from the fire. 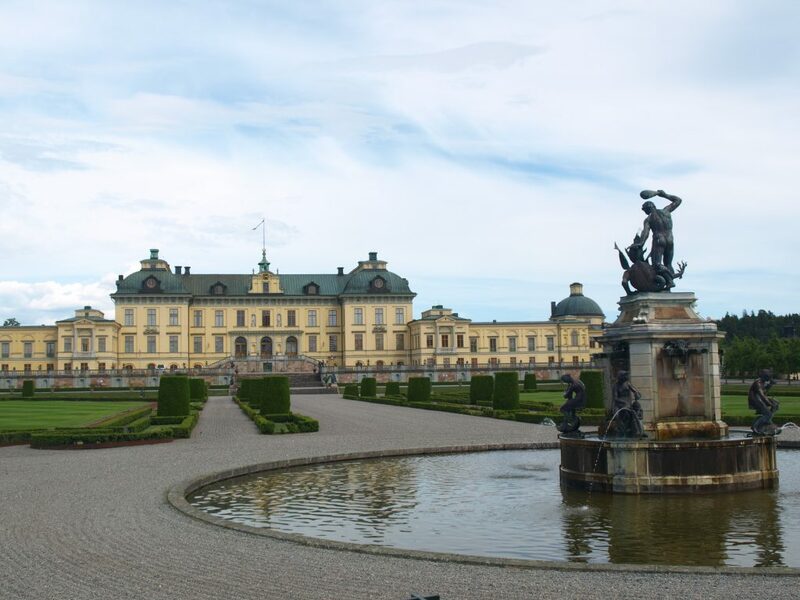 We visited Drottninghom, another royal palace near Stockholm. 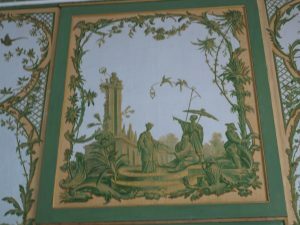 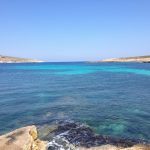 You best get there by boarding a ship which brings you within an hour to the palace – on the way you may notice the swift change from city to countryside. 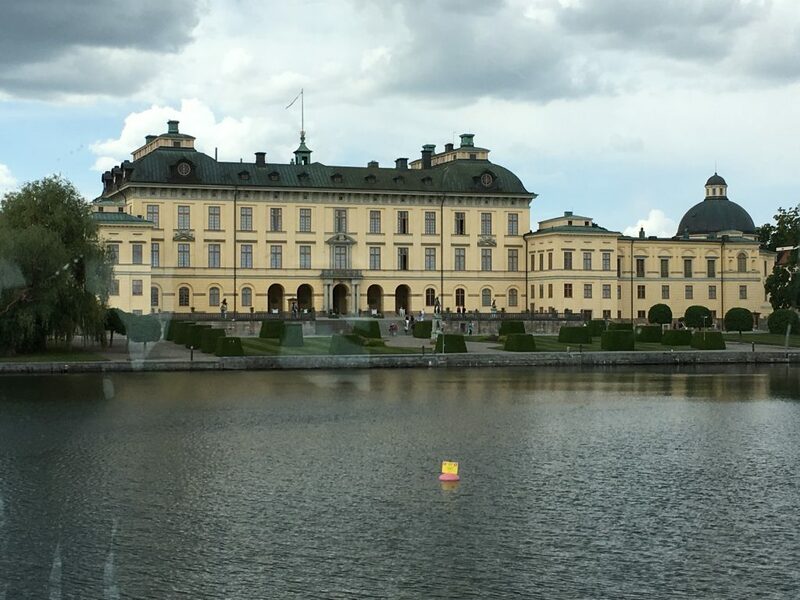 Drottningholm (in Swedish: drottning means queen!) 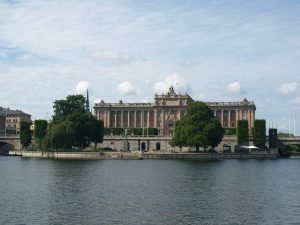 is the official domicile of the Swedish royal family i. e. king & queen (the children have their own palaces & mansions…). 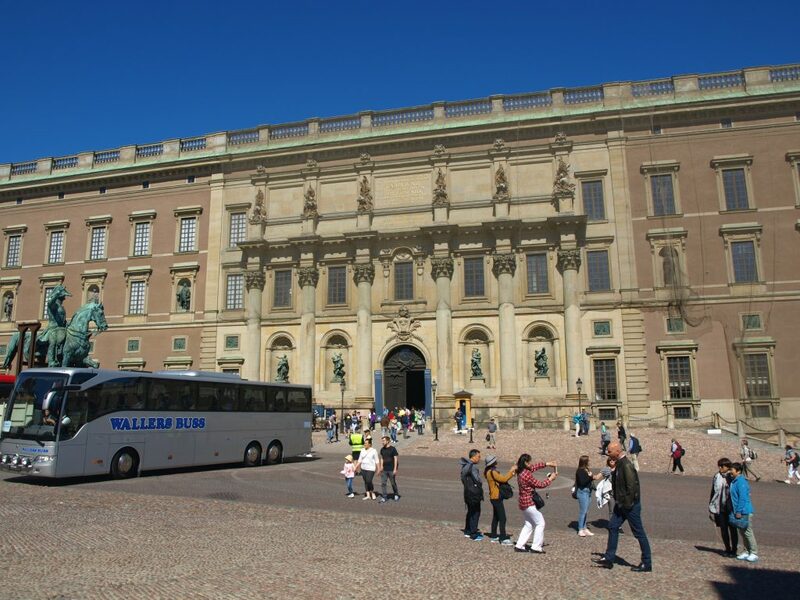 Besides it’s an interesting glamorous palace visited by lots of tourists – as we were. 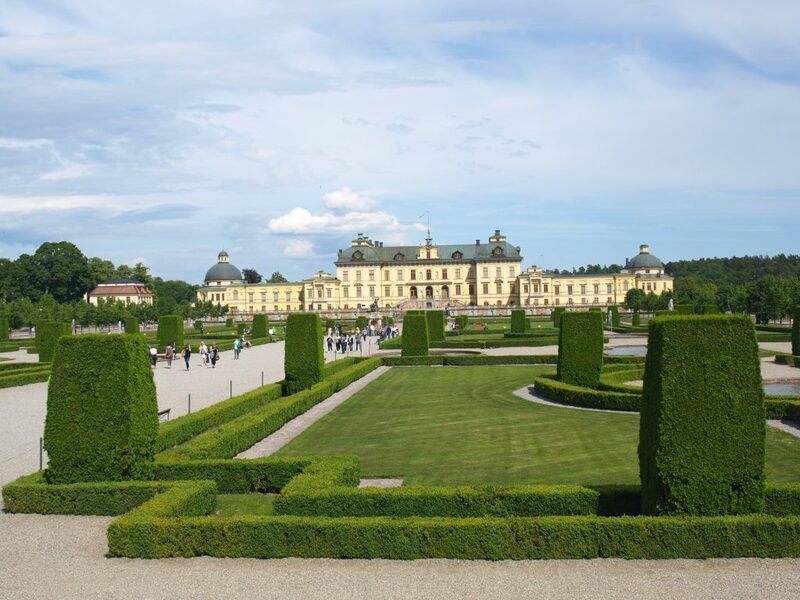 In addition also Drottningholm is used for state visits, state receptions & state dinners. 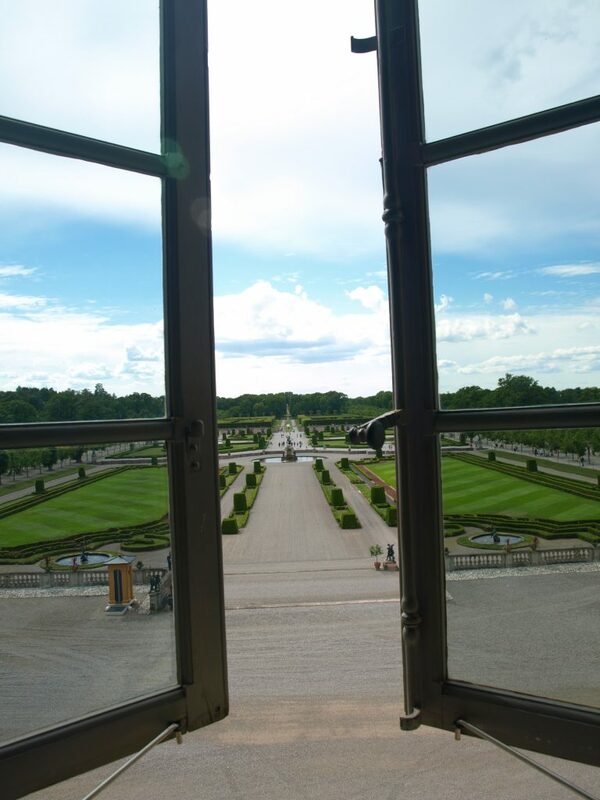 (In this case access to Drottningholm is limited…). 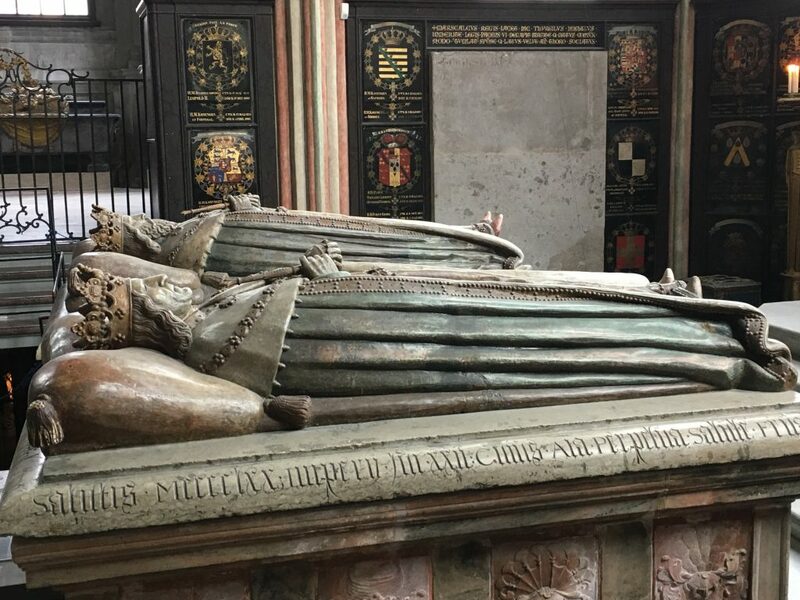 Well: we didn’t meet – just by chance – any royal family. 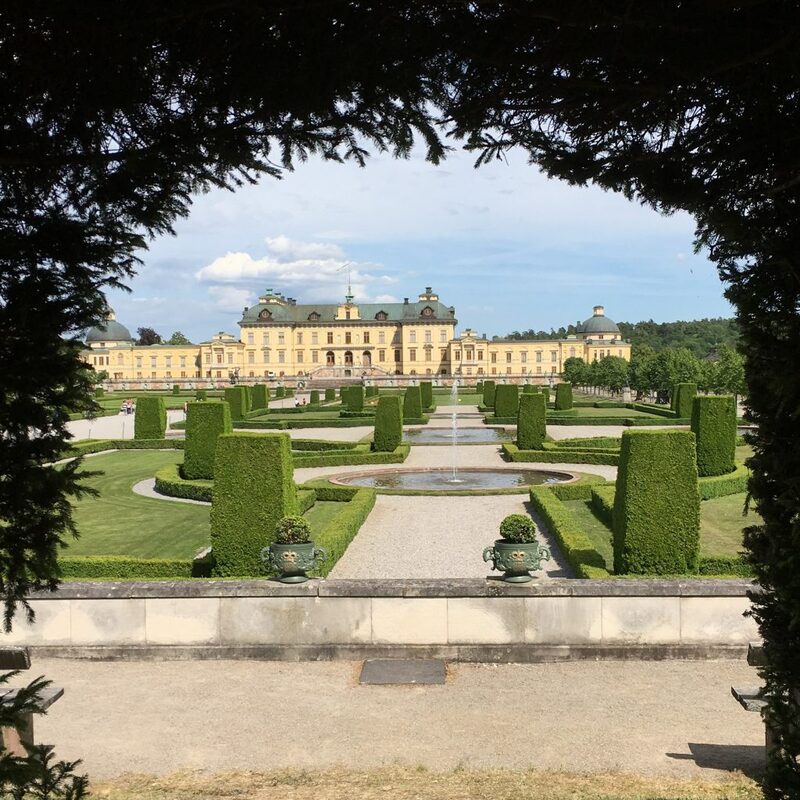 I think that their very private home isn’t in Drottningholm’s main building, but somewhere nearby. 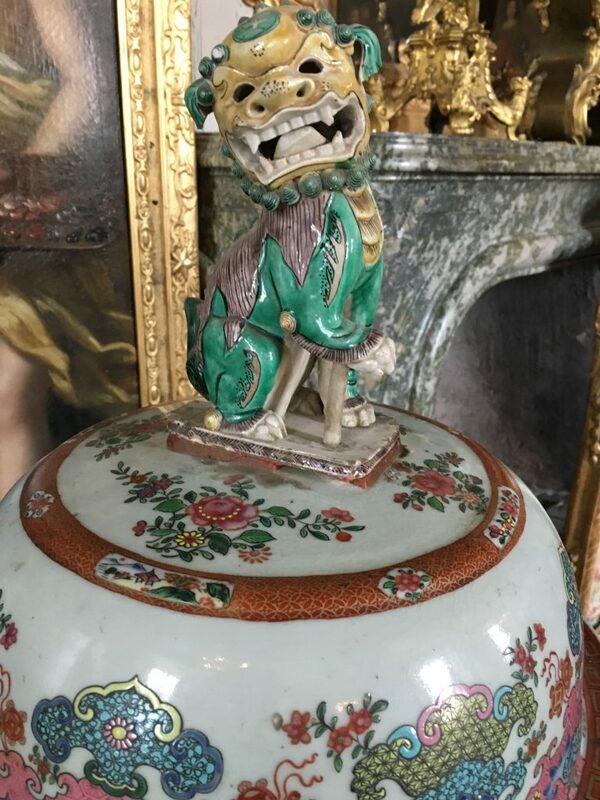 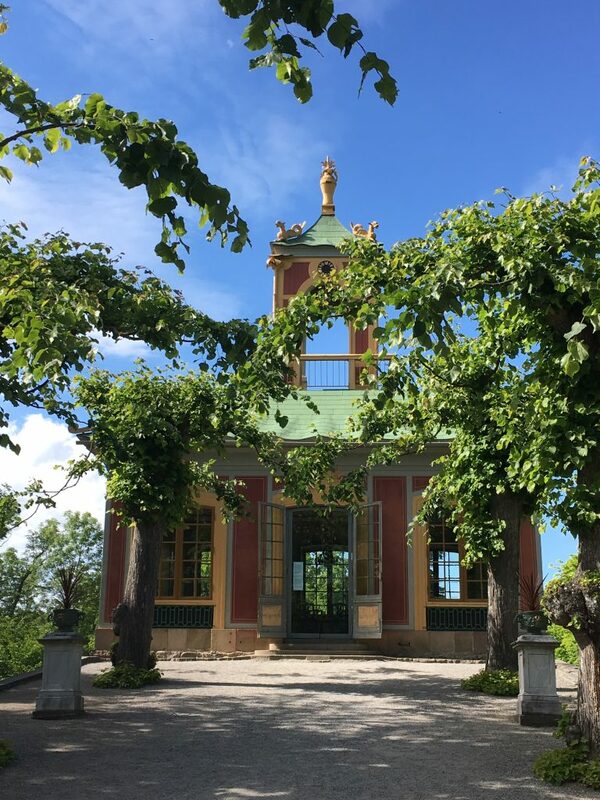 Finally – after walking for about 30 min away from the palace there is the Chinese Pavilion – a small pleasure palace once a birthday gift from king to queen in a past century. 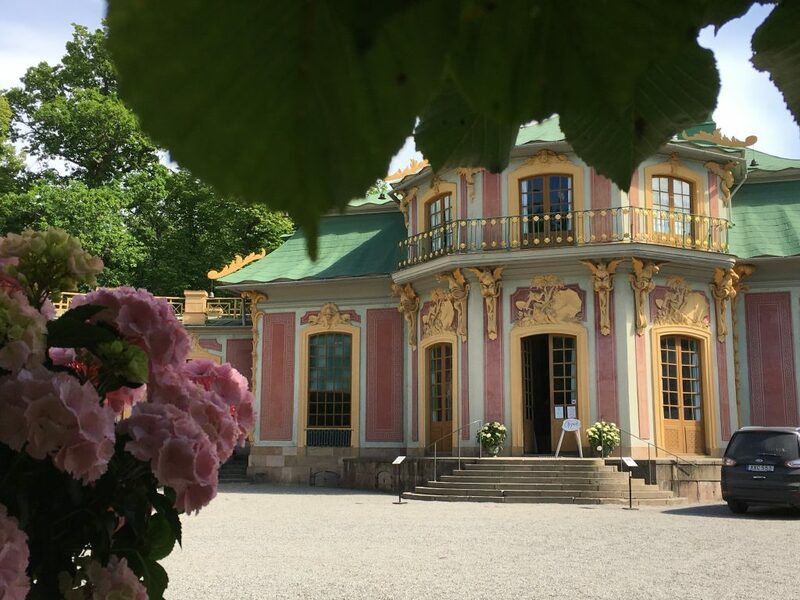 This (above) is only an annexe to the main Chinese palace (below). 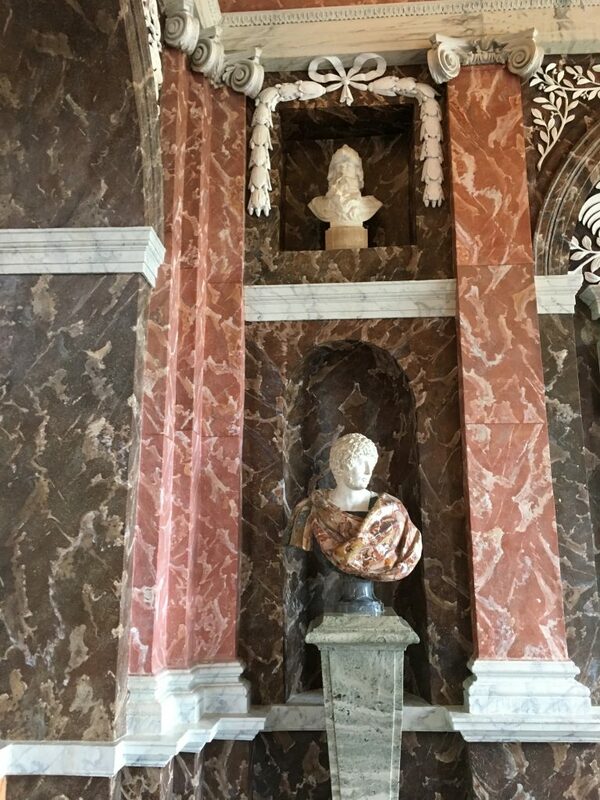 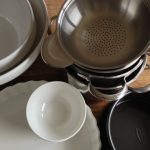 All is done in the same colors, the same style – all is symmetrically set up w/ great efforts. 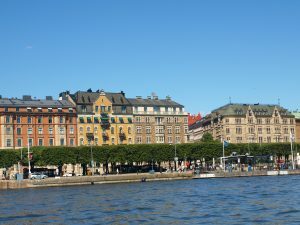 Stockholm sprawls on islands – lots of islands. 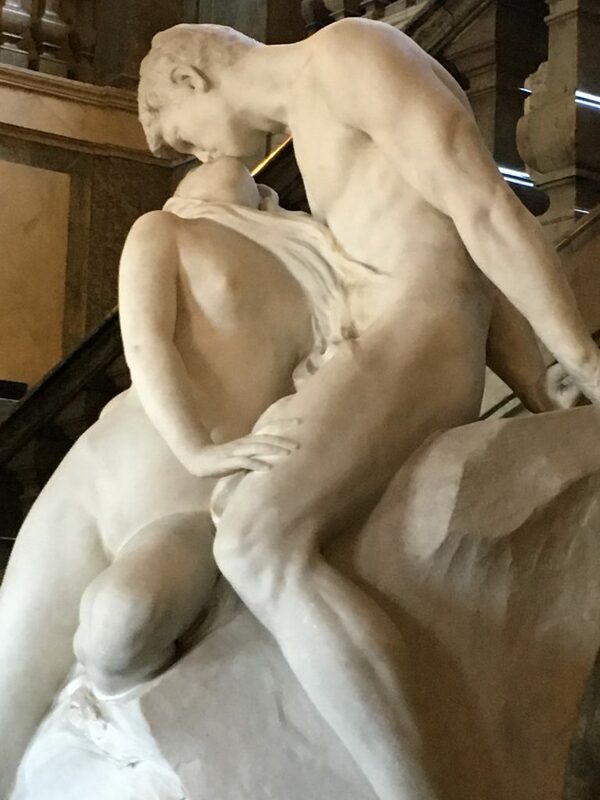 It’s astonishing, but there aren’t any channels like the canali in Venice. 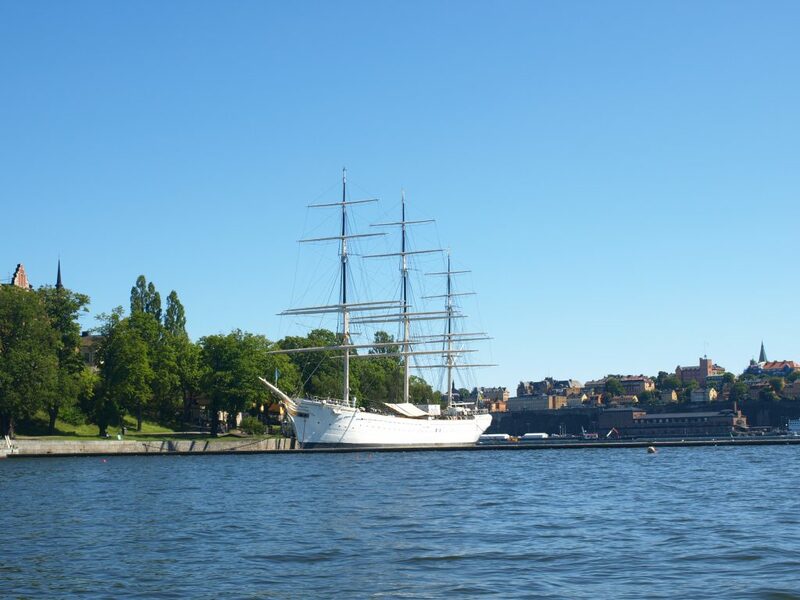 If you start a cruise you’ll always cruising around the islands. 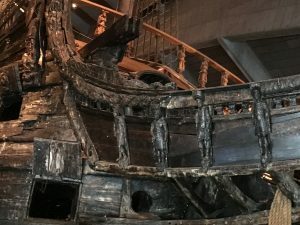 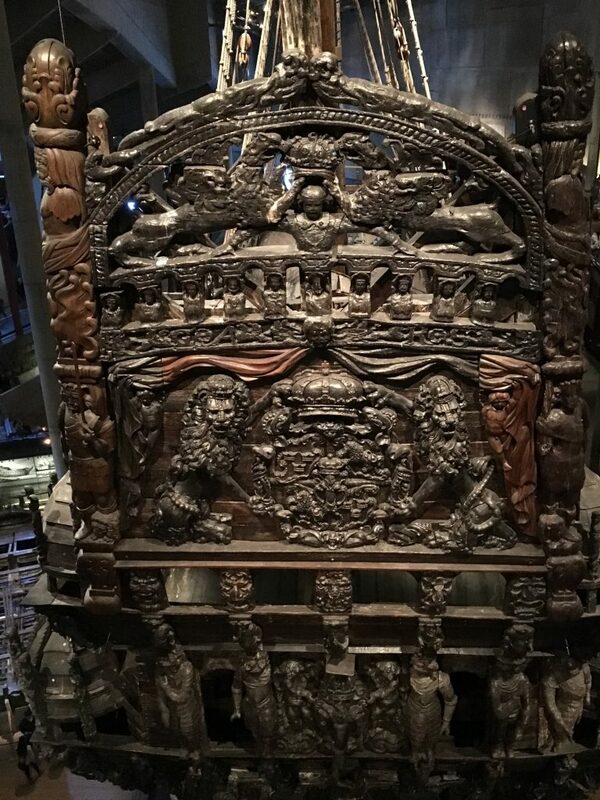 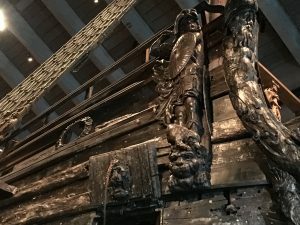 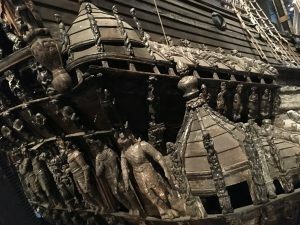 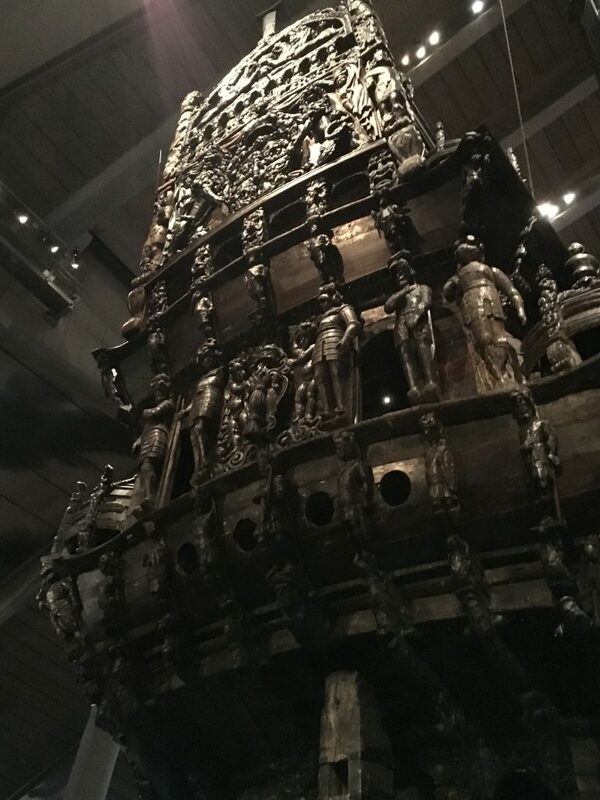 … an interesting comparison to the Vasa which sank immediately when sliding into the water about 400 years ago. 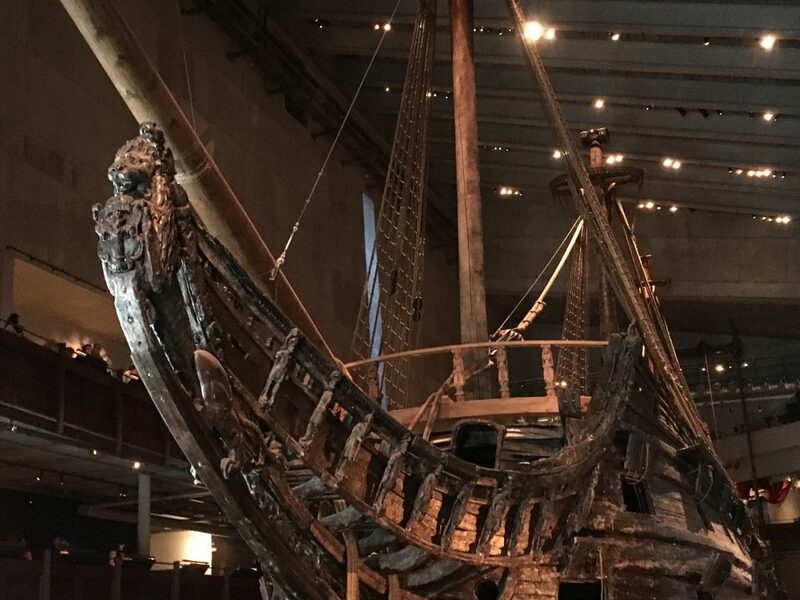 The Vasa was built exactly here… sank & was hauled out of the water & restored – like a big 3-dimensional puzzle! 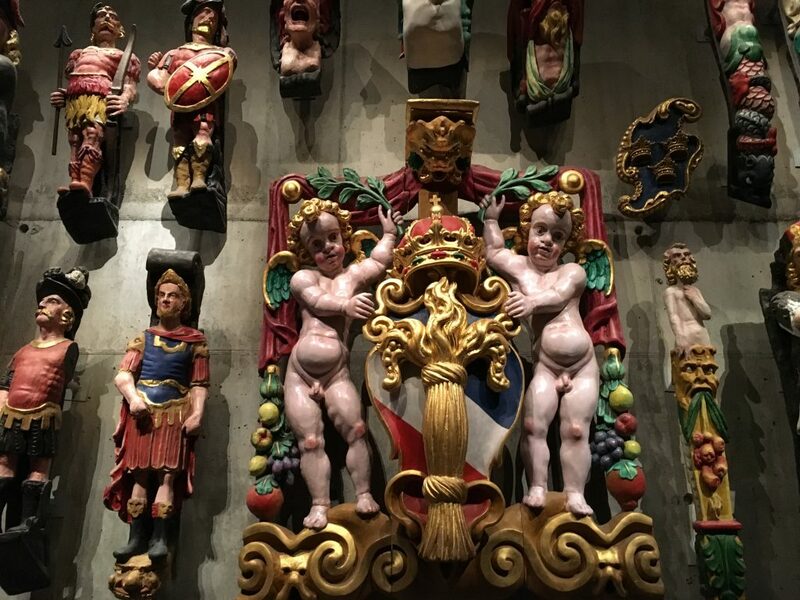 These are wooden figures restored to display their former colourful beauty. 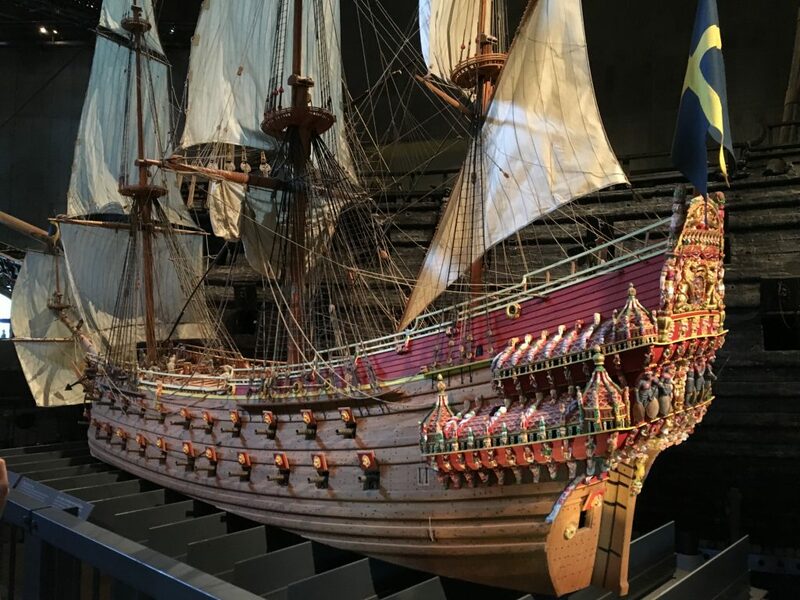 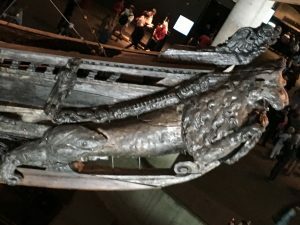 When walking around the Vasa on several levels you tend to lose the overview… somehow… The model adjusts the view! 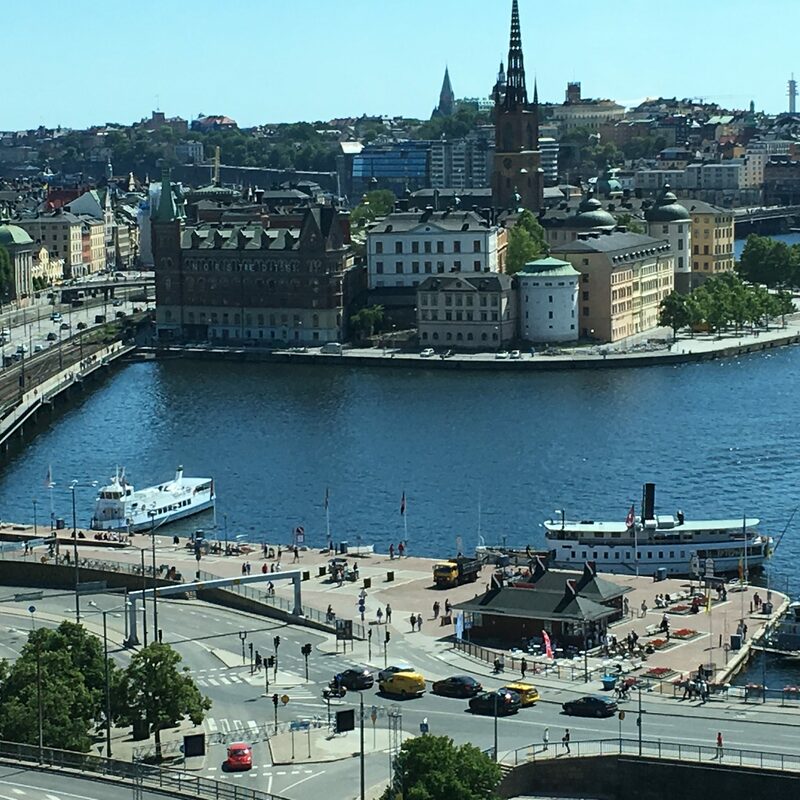 We had a top long weekend in Stockholm! 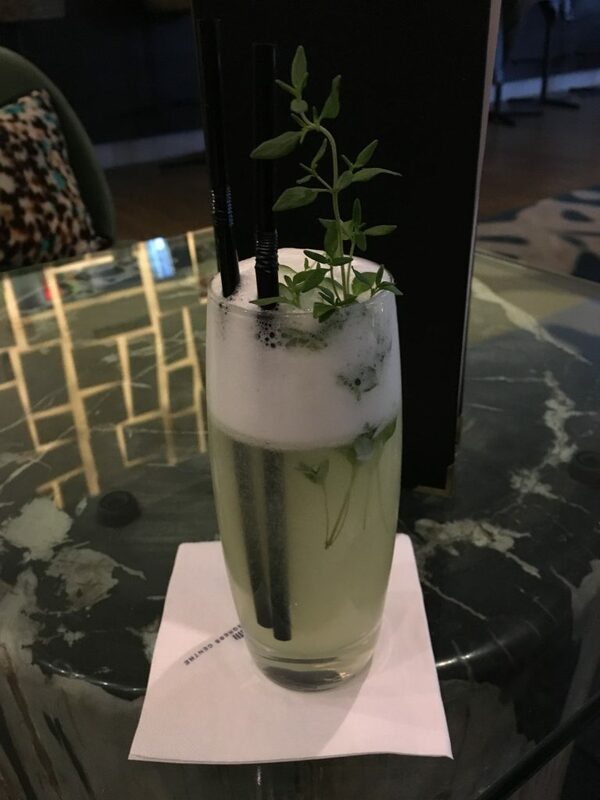 My signature drink in Stockholm! 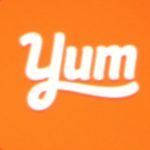 It’s refreshing – somewhat sweet, somewhat sour, somewhat bitter: a summer cocktail!